From memory of playing amongst the ruins including the cellar as a kid in the 70s the pub would not have been that big, The front of the pub must have been set back and not directly on the canal towpath. I seem to recall a Monmouthshire Railway and Canal Company marker post set back about 15-20 feet from where I believe the towpath to have been, this was located near the front of the pub remains. 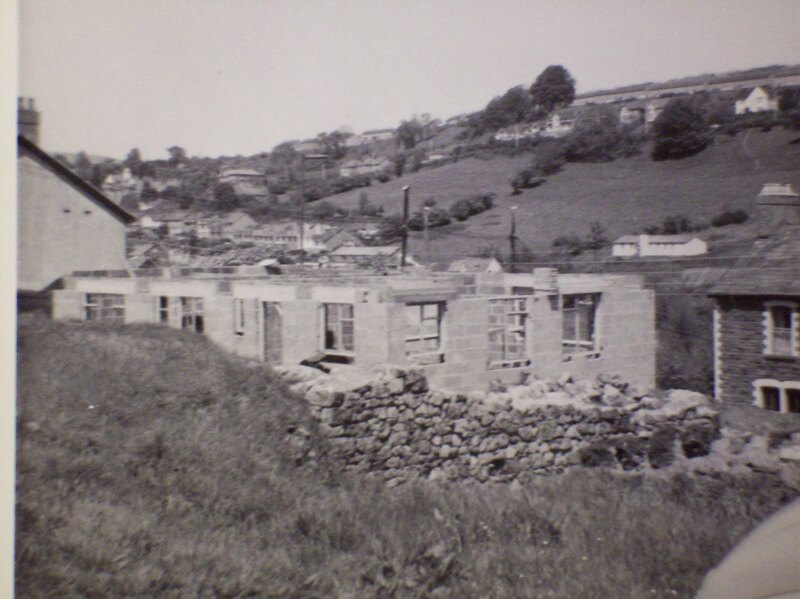 Also on the land here was the cottages No 9 and 10 Canal Bank, the adjacent number 8 Canal Bank was knocked down by Torfaen Council a few of years ago. The council had to buy it from the owner to avoid a court case because the owner intended taking them to the high court over access issues when the council removed the access to build the Osborne Rd bypass. The council then ended up with a property they could not sell, rent or demolish because there was no access to it. To solve this they waited until the property had been written off their assets and then purchased the adjacent property (Drill Hall House) under the premise that it was going to be used as part of the Hales House scheme. I believe they only purchased Drill Hall House so they could hide their c*** up that forced them to purchase 8 Canal Bank to avoid a legal case. They never used Drill Hall House or the land at 8 Canal Bank for the Hales House scheme. After a few years left empty they then sold the property with the land from 8 Canal Bank included. The Hales house scheme was forced upon us due to another Torfaen shambles as they had purchased the old TA Centre to build the proposed super school. This was funded out of the education budget and they got into a bit of a mess when the Welsh Assembly refused to provide a grant for the proposed super school because it was thought to be a poorly thought out plan by Torfaen Council. I would like to thank Kevin for the information and the photographs. The latter I print below. It’s pleasing to know that, starting from a position of knowing nothing about the Parrot pub, not even knowing where it was, we now have some reliable information about some of its previous occupants, the exact spot where it was located, and also some photographs. I’ve recently received another email from Mary (ptcp officer at Pontypool Museum) in which she says that she was given the name of one of the wrestlers by a lady who remembers reading about the murder at the pub. His name was “Fancy Fan” (or possibly “Fran”) and came from Blaenavon. If anyone knows about this character please write in and say. I don’t think he would have gone to West Mon ! Living in Blaenavon would have put him in Priestley House (named after the first headmaster). Certainly while I was at the school I can’t recall anyone who looked like a transvestite wrestler. No, I’m sure he would not have been an old Westmonian !! and a young boy standing under the scaffolding. 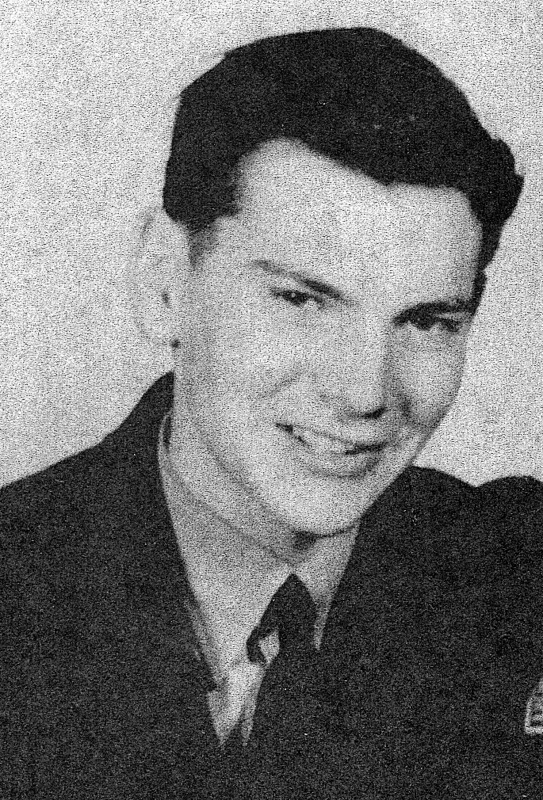 Brian Everson when in the RAF. such as Tommy Handley’s ITMA broadcasts during the war. can remember it please let me know. 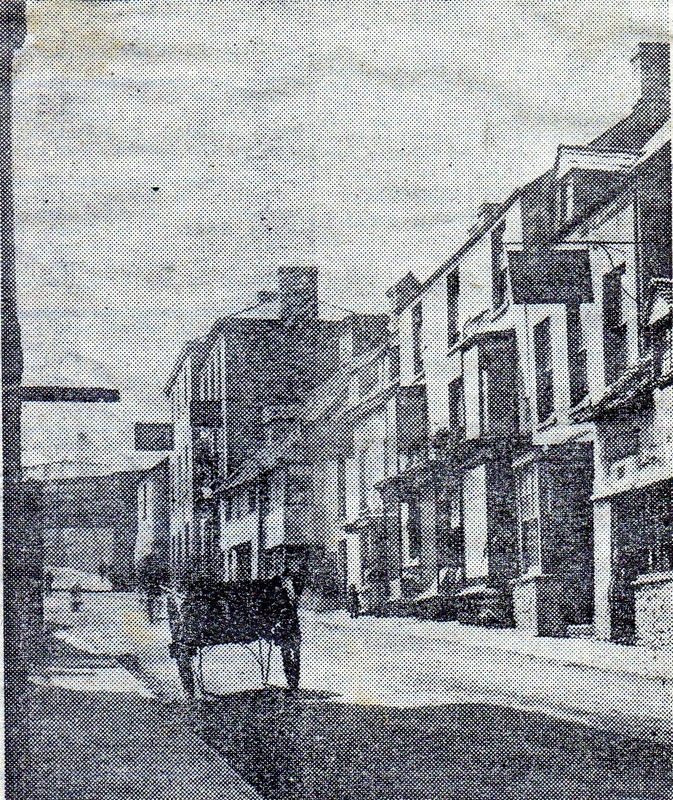 I was recently looking through an old scrapbook of mine when I came across two very old photographs of Crane Street which were taken about 1850. In the first one you can just see the entrance to the narrow lane (under a large sign) at the side of Sandbrooke and Daws. This is where I saw the sheep being slaughtered which I described in a much earlier posting. Some interesting information has emerged about The Parrot Public House since my last posting. 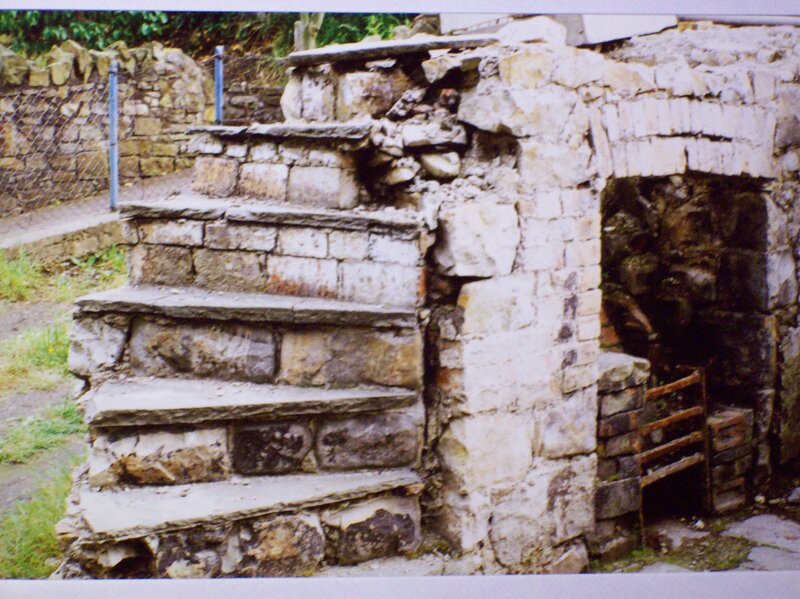 Kevin Larcombe emailed me to say that the remains of the pub are in his back garden and that he has some photos of the ruins from the 1960s to 1990s. If I receive copies of these I’ll put them in a post at a later date. “We’ve stories of wrestling matches there when the men taking part would dress as women – quite a colourful time in the pub’s history. I’d love to find out more about this for the Pontypool Townscape Community Project. “I believe that I have found the couple in Pontypool on the 1851 census with Patrick living in Sowhill (Mason Labourer) and Mary Donovan as a house servant at “the Bank” in George St. 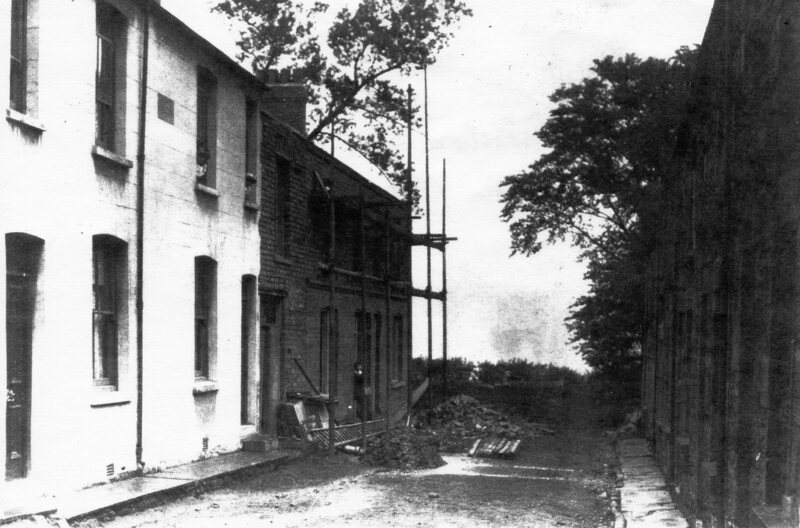 In 1861 they are living at Black Rock in Llanellyn with three children. I have not been able to find the 1871 census (checked all the of the Pontypool Census!!) but on the 1881 census Mary and 2 children are at in Gibsons Square. Patrick died just before the census. In 1891 the family are at 9 Gibsons Lane. What is unusual is that near neighbours in 1881, the McGuire family, are next door neighbours in 1891 which makes me wonder if (as far as the census taker was concerned) Gibson Square and Gibson Lane were interchangeable. In the 1881 census there are no numbers on either Gibson Square or Gibson Lane. In 1901 Mary is living at 7 Nicholas St., where she died 31 December 1903. Again what is unusual is that both the newspaper entry and the burial record records the place of death as “back of 7 Nicholas St.”. Why the back? – assume it was rooms in the house? I have been fortunate to find a number of baptisms for the children in St. Albans catholic records. 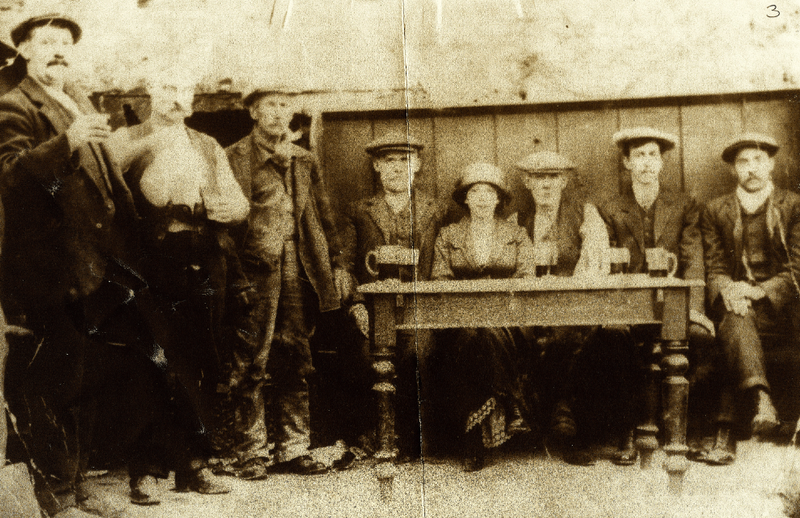 Two of the sons, my wife’s grandfather Timothy and his brother Michael left Pontypool along with a Daniel McGuire (the next door nieghbour) in 1895 under a bit of a cloud. Timothy went into the Army and after 8 years in India he returned to the UK where he married his wife in Pontypridd. Michael was also in Pontypridd by this time with his wife who he married in London in 1895. A witness at his marriage was Daniel McGuire. Daniel was also in Pontypridd. When Timothy got married in 1905 a witness at his wedding was James McGuire – brother of Daniel. What is really frustrating me is not being able to find the 1871 census. If any visitor knows anything about the people mentioned in the above quote please email me and I’ll put you in touch with Raymond. 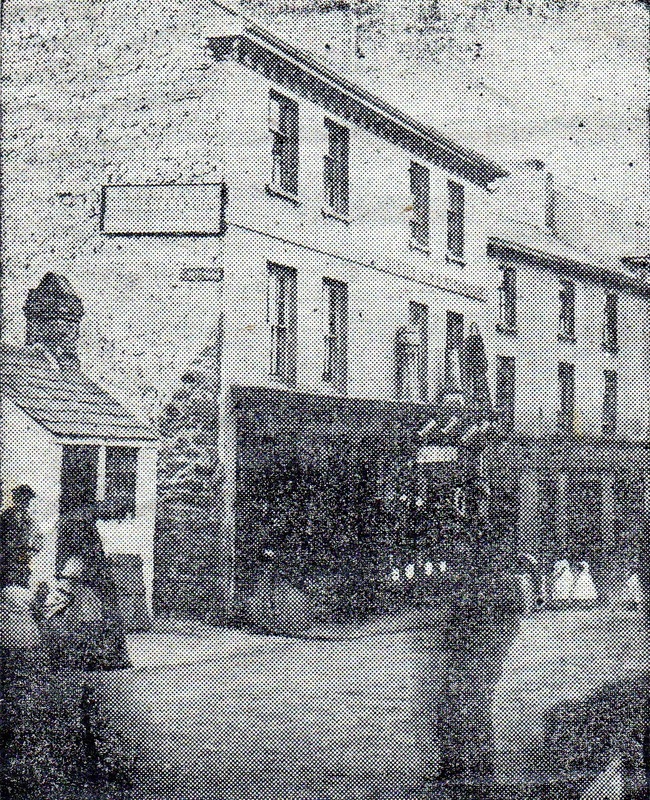 I understand from Eric Smith that the Pontypool Museum are looking for information and, hopefully, a photograph or drawing, of the Parrot Public House. It was situated somewhere on Osborne Road during the last century. I further understand that the pub had a rather “colourful” reputation for reasons which, at the moment, are unknown. I suppose parrots are rather colourful birds aren’t they? If any visitors know anything about this place, please either email me at david.hughes43@ntlworld.com so that I can hand on the information and also publish it on this blog, or get in touch directly with the Museum at Pontypool.